Two wish lists in a row is rather ridiculous I must admit. But seeing as I am not allowed to spend money I have to just make do with looking. And looking I have been doing. Its rather sad to admit I do quite like putting them all together and creating these little collage type images as well! 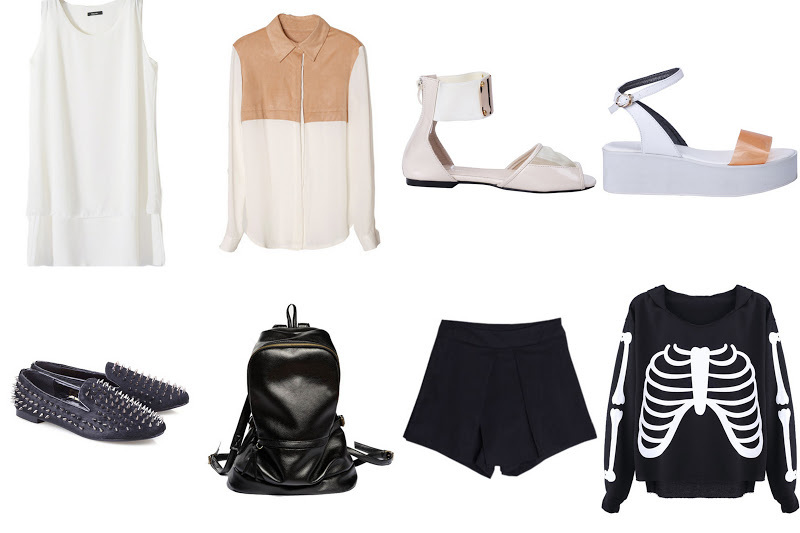 These are just some of the bits I have my eye on from the Romwe halloween sale. I Thought I would stay completely true to myself and stick with my favourite hues of them all, black and white. Cant I have it all?! Check out their fab sale here, If you dare!